Reggie Hamilton was born in NYC. 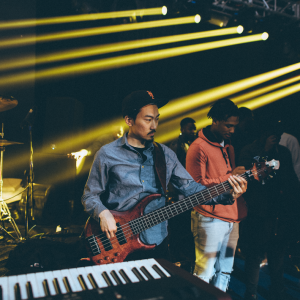 He spent his formative years on the east coast and started playing bass at age 11. He was also fortunate enough to have New York bassist Kim Clarke as his first teacher. 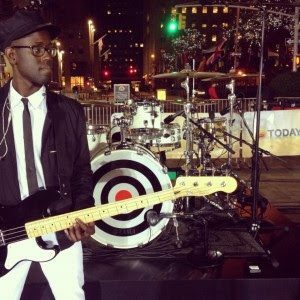 Two years later, Reggie would take up the acoustic bass to strengthen his foundation as a bassist. Much of Reggie’s early playing experiences were spent in r&b and jazz clubs. He later worked as a house bassist in Atlantic City. 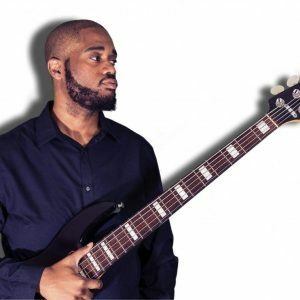 Although Reggie had declined a scholarship at the Philadelphia Music Academy, he studied double bass with Craig Thomas and Philadelphia Orchestra’s Neil Courtney. He also studied composition with Dennis Sandole. Since arriving in Los Angeles, Reggie has toured and/or recorded with a wide array of artists including Seal, Eros Ramazzotti, Babyface, Thalia, Queen Latifah, Billy Childs, Christina Aguilera, Anita Baker, Bette Midler, George Duke, Whitney Houston, Stanley Clarke, David Lynch, John Mellencamp, Warren Zevon, Mariah Carey, Tina Turner and many, many others. At present he is recording his second CD and working on a Doublebass concerto.